San Diego County, CA -Media Arts Center San Diego, in partnership with San Diego Public Libraries, is giving youth a voice in their community. 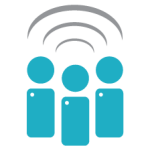 Mobile Stories, a free program, uses mobile technology to encourage civic engagement and expose students to the extensive resources available at their local library. This summer, workshops are being held on Saturdays from 10AM-2PM at libraries across the county. 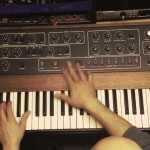 Featured videos by youth, from a number of communities, can be seen at www.mobilestories.org. For a complete list of events please visit: http://sdlatinofilm.com/mobilestories/2012/07/07/summer-special-mobile-story-saturdays. Youths participating in the program are using cell phone technology to record video, take photographs and learning editing techniques. 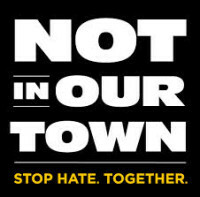 Under-represented youths can express their voices regarding news and events in their neighborhoods, connecting them to their community and with groups around the world. Citizen journalists, as young as nine, are reporting on hot topics like local programs for Somalian refugees, human rights organizations in Logan Heights and the local agriculture movement in Southeast San Diego. Their fresh perspective sheds light on the issues facing local youth. 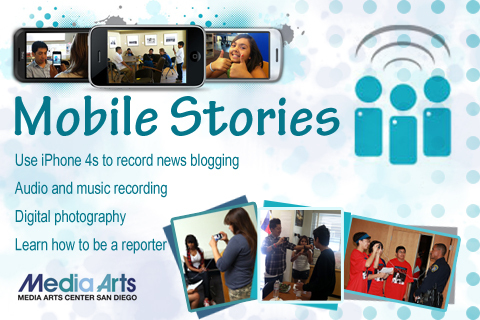 These mobile stories build a history of San Diego’s communities while teaching technology and critical thinking skills. Mobile Stories will continue in the fall with a countywide call for submissions from educators and the public. Mobile Stories is made possible by financial support from the Motorola Foundation, the Qualcomm Foundation, Frontersa, KPBS, Not In Our Town, the Institute of Museum and Library Studies, and the audiences of the San Diego Latino Film Festival. Media Arts Center San Diego is a nonprofit organization, dedicated to promoting access to film and video as tools for community self-expression and social change. 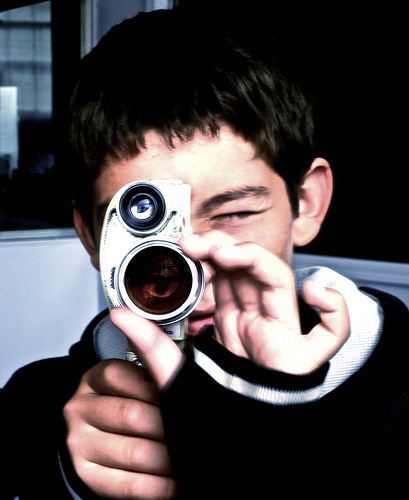 MACSD supports the professional development of media artists of all ages. 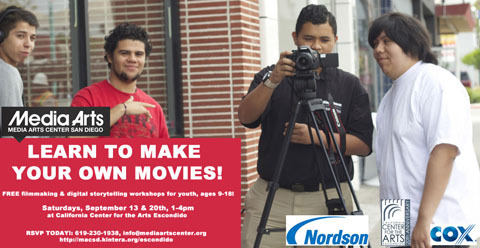 Programs include the Teen Producers Project, the San Diego Latino Film Festival, and workshops for all ages. The Media Arts Center is located at 2921 El Cajon Blvd. visit www.mediartscenter.org for more information.